So still fairly new to the antiverse. I had a few questions hopefully could be answered. 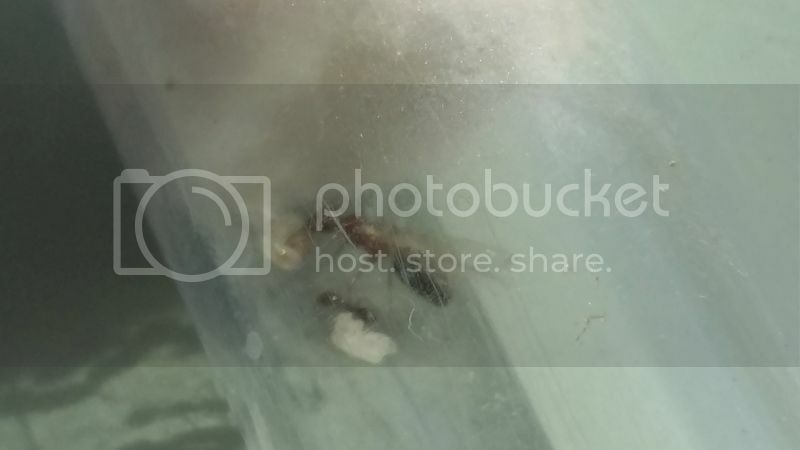 I have what i believe is 2 Crematogaster sp. queens in a 2 test tube setups. 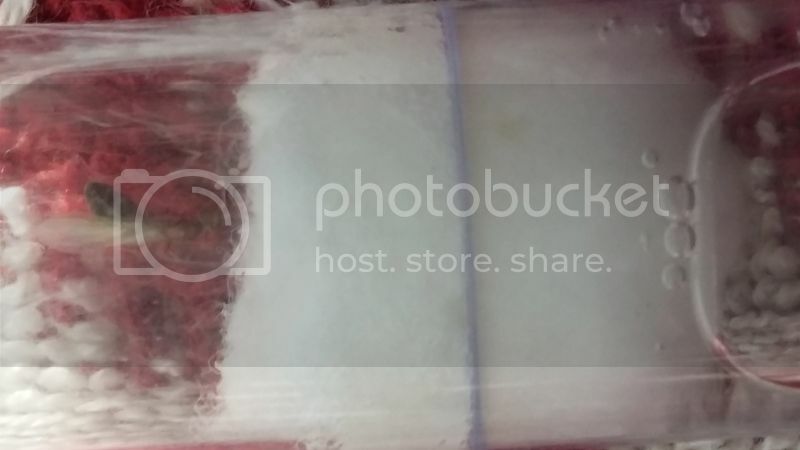 2) how do I tell if the chamber is getting enough moisture/humidity? - it looks dryish, but there is a bubble that formed and looks to be growing. 3) She seems a bit clumsy or sluggish perhaps. Should I worry? 4) How would be the best way to use a heat cord for a test tube setup? A little more insight, this is about one queen, the other hasn't laid any eggs and just seems to wander in the tube. Mainly hangs out by the reservoir. The queen in question had a few eggs that grew a bit and became clustered, she may have eaten those except for 1 or 2, but laid 3 in the last week. Those are closest to the reservoir, which led me to ask if the tube was humid/hydrated properly. The first 3 are of the Queen with brood. This one hasn't laid yet, probably won't since its close to hibernation time. If she is laying eggs she is perfectly happy. It really doesn't matter if you use glass or plastic test tubes. It all works the same. If the cotton is slightly damp she should be fine. Although I would assume desert ants could survive much drier conditions than your average ant. 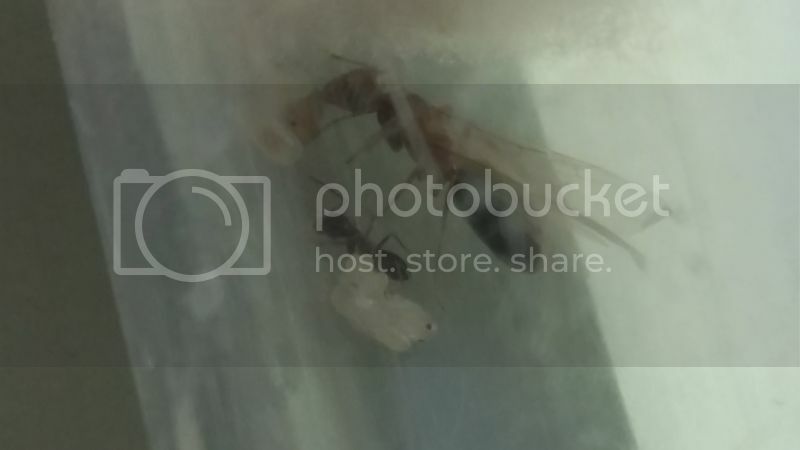 That is also a Dorymyrmex sp. (I believe bicolor) queen. As far as glass or plastic test tube. The downside of plastic is it’s easier to scratch. The downside of glass is that the water inside the testube can cause the glass to remain cool. So the ants probably prefer plastic since that will be warmer, but the ant keeper prefers glass because it’s easier to see the ants. Thanks for the input and ID. I wasn't too sure what they were. Now being desert ants, and inside a/c. I got thermometers and the outside area where I keep them is about 72 degrees Fahrenheit, and another thermometer within the space they reside, also under a towel. That one reads about 78-80 depending on the sun (east facing room). Would using a heat cord (15w) be good? And if so how should I place it, and for how long to leave it on for? Maybe you guys can help again or Antsdakota has some insight for this newbie. I can't find any care sheets on dorymyrmex bicolor. Any help is appreciated. 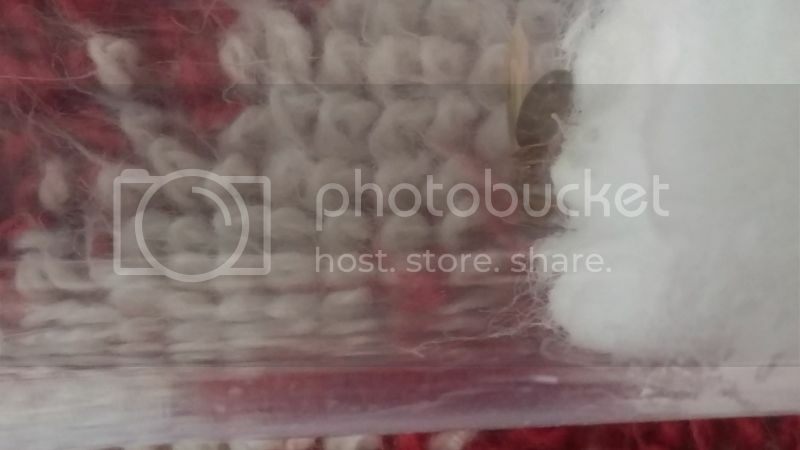 I got a heat cord from petco, should I use it for them or would it be too much? It's the 15w cord they sell. AntsDakota you have been requested! All I know if you were wondering is they are a desert ant and are built for speed on long legs so they have the least amount of contact with the hot surface sand. They build nest entrances in a funnel shape. Just going by my logic but I wouldn't heat the colony but that's just my opinion. Well I haven't posted in here in a while, and I have some updates! 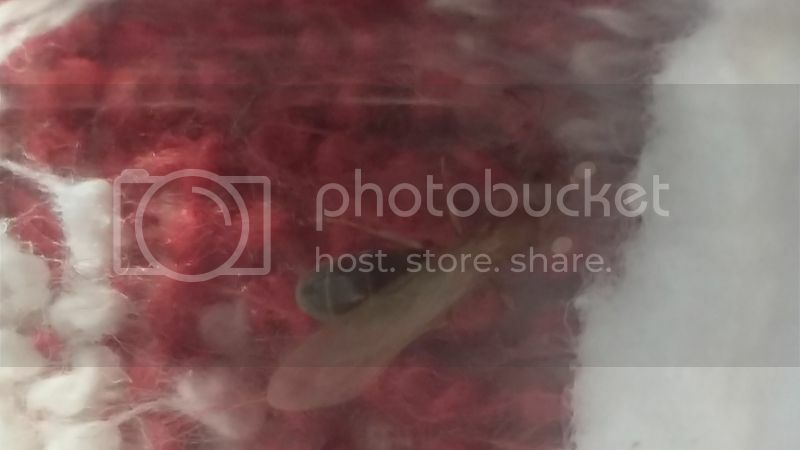 While the other queen hasn't laid any eggs yet, the other queen has laid eggs. Roughly around 4-7? well I looked today and most have hatched into larva. I can't wait to see the first nanitic(s) appear! Hopefully by keeping them heated until she has a few nantics, and then hibernate would be ok to do? Well, been a while and as her eggs finally are developing and I'm sure she hadn't eaten any. She finally as a worker, and I can see there's another one or 2 ready to enclose. Also a few larvae in there too. 11/23 is when I noticed the first worker. Still winging on the care of this species. If anyone has more information that would be great. here are some pics of the new addition to the family. Should I feed them anything at this point or wait a little? Plus hibernating this species? Thanks all!